Today opens 32nd Bacolod MassKara Festsival along with its theme: "Celebrating the new icons of Bacolod" at 7 p.m., at Bacolod public plaza. The lighting of the 19 giant mask-lanterns in the plaza commences the annual activities. Then the lighting of bandstand lights ensues. These mask-lantern entries are crafted by the inmates of 19 district jails all over the province to participate at the 1st Priso Mask-Making Competition in partnership of SMFO with the Bureau of Jail Management and Penology. Acting Bacolod Mayor Jude Thaddeus leads this year's MassKara Festival. Sometime in 1980 the MassKara Festival was born amidst the MV Don Juan sea disaster that claimed the lives of many Negrenses including prominent families, and the tremendous drop of prices of sugar in the world market. Bacolod Mayor Jose Montalvo, as a victim of the sea tragedy, where he lost four members of his family, took the lead in deciding to a festival of smiles for Bacolod at that time was also known as the "City of Smiles." Tourism officials and the city’s artists led by Art Association of Bacolod president Ely Santiago, and civic groups also joined the Mayor Montalvo in holding the said festival. The initial festival was a declaration of the people of Bacolod that no matter how tough and bad the times were, Bacolod is going to pull through, survive, and in the end, triumph. Bacolod Mayor Evelio Leonardia, then head of the Tourism Office in Negros Occidental, nurtured the festival through its early years and was chairman for several years. And now, as chief executive of the city, he continues to entice local and foreign tourists, particularly Balikabayans to come to Bacolod for the MassKara. 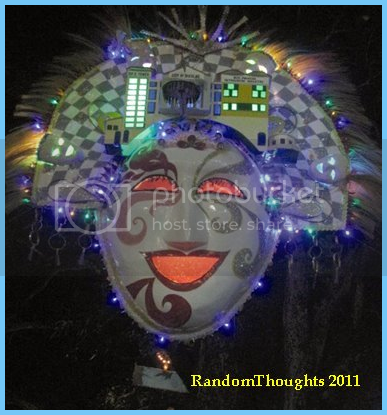 Happy celebrating Bacolod MassKara! Long live MassKara!